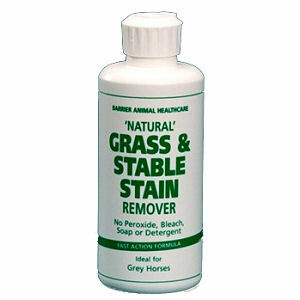 Grass & Stable Stain Remover is a must for those with grey, coloured horses, tails and feathers. So kind and gentle to the skin but with the power to remove heavy soiling, grass stains and oxidation stains from from tails and feathers with ease. There are currently no questions for Barrier Grass And Stable Stain Remover - be the first to ask one!